Sustainable Food Cities take a new approach to food in order to deal with some of today’s most critical social, environmental and economic challenges. A sustainable food city is a community-wide initiative that involves many organisations from local authorities, local health boards and trusts, shops, restaurants and other businesses, universities and the third sector. By working collaboratively, they are making healthy and sustainable food a defining characteristic of where they live. At the moment, there are more than 50 Sustainable Food Cities across the UK and Cardiff is the only one in Wales. All the work that takes place to make Cardiff a Sustainable Food City is co-ordinated by Food Cardiff, an organisation that is run collaboratively by the council, WRAP Cymru, Cardiff and Vale UHB, and Public Health Wales. This June, Cardiff hosted the Sustainable Food Cities conference with a key address from the leader of Cardiff Council, Huw Thomas. It was a fantastic opportunity to showcase how the work we’re doing in Cardiff has used good food to create strong, healthy communities. One fantastic example of this is the Cardiff Salad Garden. You may not have heard of this but if you’ve been for a walk through Bute Park, chances are that you’ve seen it as it sits within the walled garden. Ahead of the conference, we sat down with Sophie Durnan from the salad garden to talk about how it works and how it’s helping to achieve the wider vision of a Sustainable Food City. “In a way, it all started by chance. 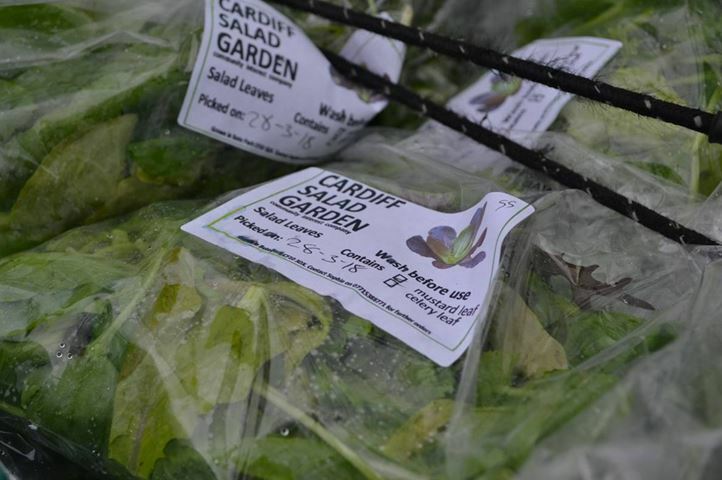 My background is that I used to be the head grower for the Riverside Market but the idea for a dedicated salad garden in Cardiff came to me on a walk in the park. “I saw the greenhouses in the walled garden by chance so my business partner, Fissha Teklom, and I decided to see if there could be any space for us. “Fissha’s vision, which we both share, is to make growing food a community activity as it is there, rather than just me in a field by myself! “I passionately believe that growing and cultivating food is a communal activity but it also does need to be commercially successful for it to work so we had the idea of using this community garden to grow one particularly high-value crop. “From the germination of that initial idea, it took a while for things to really get moving but Food Cardiff, specifically the council’s commitment to becoming a Sustainable Food City, really helped to pave the way for us. “The council have since really got on board with our vision for the garden and have been renting the space to us at a very reasonable rate. “In June 2017, we planted our first crops and since then we’ve just continued to grow! 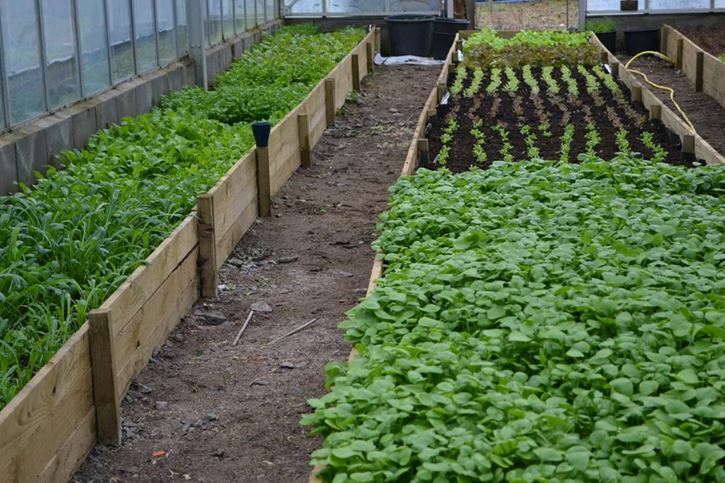 “We grow a range of salad, around a dozen different types of leaf and we try and keep it as seasonal as we can. Then we pick them and organise them into two types of salad bag, a regular one and a spicy one. “Part of our success has got to be due to our location. Being so conveniently placed in the centre of the city has meant that we can reach local businesses all over Cardiff. “We deliver all the salads by bike to about 12 businesses across the city and it’s so interesting to see the different things each business chooses to do with our salads. “Being so central has also meant that people can easily access us. Recently, we’ve started working with Oasis Cardiff to help refugees and asylum seekers integrate into Cardiff communities alongside other disadvantaged groups of individuals from in and around Cardiff. “We use the garden as a space for people to come together to find out more about food and horticultural skills and, by doing so, we’re promoting confidence building, better social and language skills and positive mental health. “Like I said, I don’t want to spend my time in the garden alone so anyone can come along. If I’ve got enough time, I’ll talk to anyone about our salad! At some point in the future, we hope to have open days for members of the public and businesses. Cardiff has more green space per person than any other UK city and is home to over 330 parks and gardens with one of the largest urban parks in the UK. 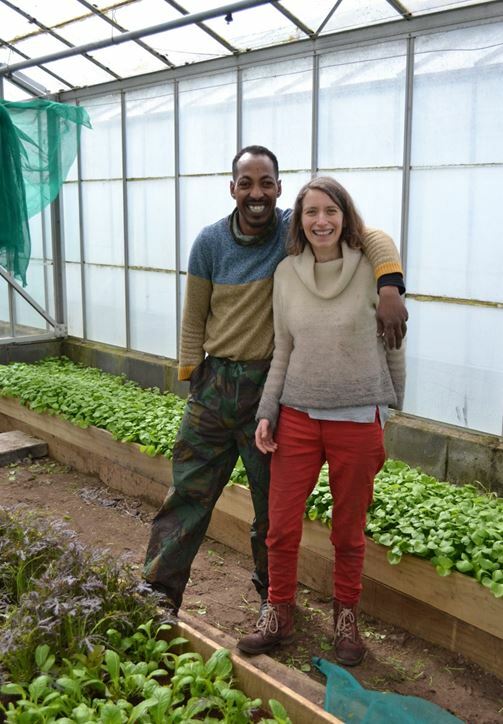 Everyone at Food Cardiff shares the hope that models of community growing like Sophie and Fissha’s can be replicated with similar success, thereby building Cardiff’s food resilience and, hopefully, increasing the amount of fruit, veg, and salad we all eat!